At the Florence, Kentucky Day Program, Valentine’s Day was filled with fun and some wonderful creativity! 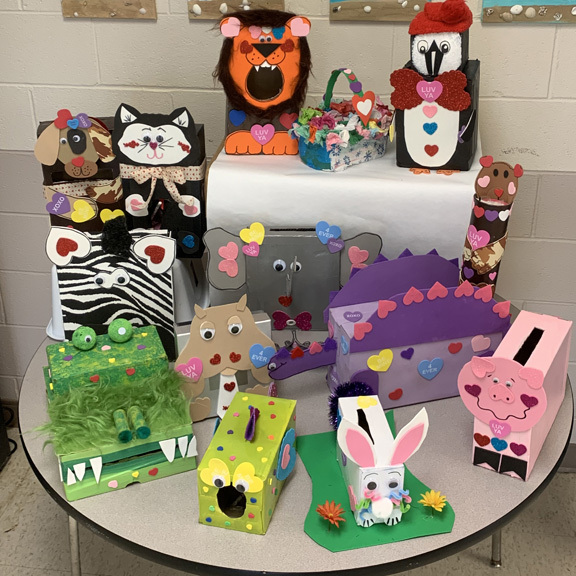 Our team decided that we needed some amazing boxes in which our friends could deposit our Valentine’s Day cards. We started by having everyone pick an animal that was inspirational to him or her. 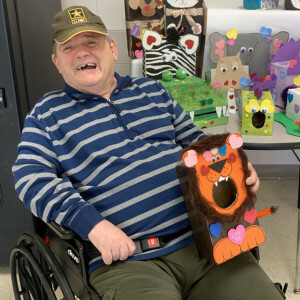 Then the fabulous Dungarvin team consisting of Macie Cousineau, Pam Ballinger, Barbara Pittman and Ron Auteri, helped to bring those ideas to life with the assistance of Laurie from Creative Expressions. After the creativity was complete, our administrative staff, Dawn Eubank, and Shelbylee Violette, put their heads together to think of a good way to show off all of the masterpieces. They decided to showcase our Valentine’s Day boxes above Shelbylee’s desk in the front lobby. Additionally, we asked that everyone vote on which box captured the animal the best. 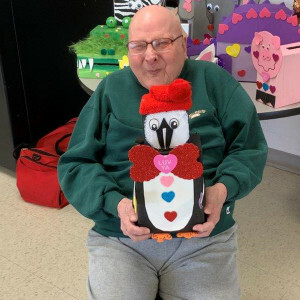 After adding up all of the votes, Gene C’s Fierce Lion and Lenny C’s Adorable Penguin came out in a tie for First Place. That looks like a lot of fun! Congratulations to the winners and ‘amazing critters’ to the rest of the participants. Thanks for sharing the ‘love’.